After visiting the Waltzing Matilda Centre in Winton, we headed off towards Charters Towers where we intended to spend 3 nights. We wanted some R&R so Damian could rest from driving every day and we could let Pepe take a break from being cooped up in the car every day. After all, we are on holiday. Each day has been the same with skies the colour of the Australian summer – deep blue with barely a cloud in the sky and the ground was brown and parched. The drive was predictably dusty and again it was sad to see starving cattle nuzzling at the ground looking to find any bits of green they could find. As we passed through little towns, different structures caught my eye. This hotel has been fenced off – I hope it’s not torn down. It’s a beautiful example of heritage architecture. The road stretched out endlessly before us – nothing but horizon and black tar for miles ahead. In the haze of the distance, you see road trains passing each other. As we closed in on Charters Towers, we could see the landscape begin to change. More green appeared on the sides of the road and in the paddocks. Burn offs had taken place to prevent large bush fires and the ranges ahead made for a change in scenery. 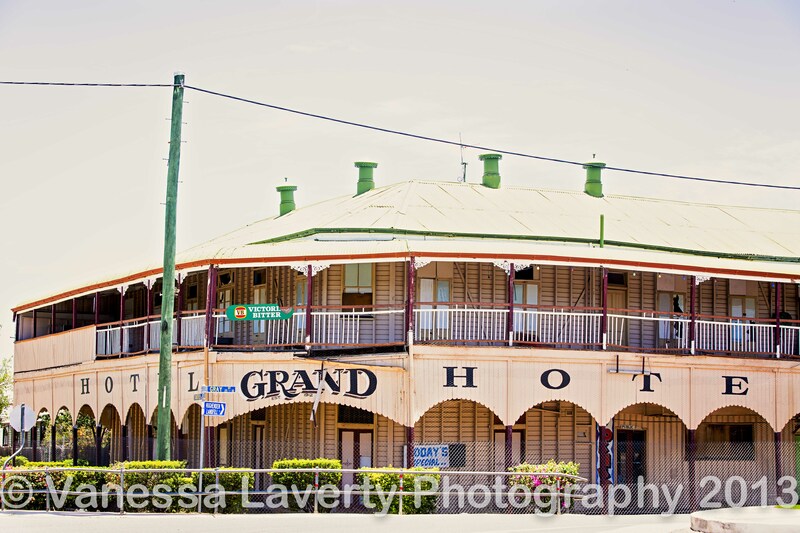 As we arrived in Charters Towers, we were happy that we had decided to have a little down time here. She came across as a pleasant town and the architecture alone was enough to keep me here. Charters Towers is only just over an hour from Townsville on the Flinders Highway and has a population of just over 8,000 people. Founded in the 1870s after gold was discovered, this town became an economic force with a population of over 30,000, but by 1917 gold mining became uneconomic. In it’s heyday, Charters Towers produced some 200 tonnes of gold. I particularly loved some of the architecture in Charters Towers and there are plenty of buildings which are heritage listed. Charters Towers also played a part in World War 2 with the USAAF 38th Bomb Group constructing the Breddan Aerodrome which is now abandoned. Towers Hill also has remnants of WW2 in the bunkers which are located there. 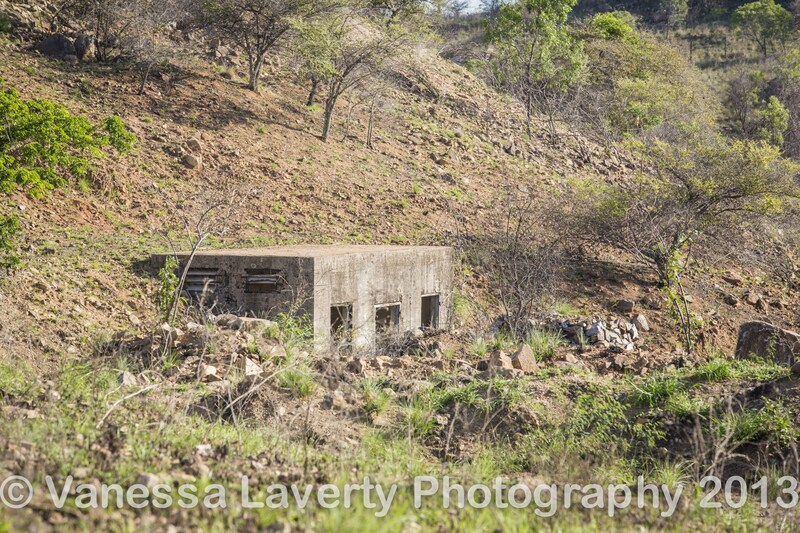 There are 42 bunkers strewn around the Hill which were used for storage of munitions. Whilst we were in Charters Towers, we stayed at the Dalrymple Tourist Van Park which we quite enjoyed. You can see our review here. Whilst staying there, we met some interesting people but one little girl took a liking to us and almost moved in with us the 3 days we were there. She lives with her Nanna in the caravan park. Her Nanna, Jackie, is doing her best to provide for her and raise her and is currently finishing a teachers aide certificate so she can work in the school where Esha-lee goes. She was very interested in my photography and watched me edit. She was able to tell me quickly what the red and blue meant on the software package I use for my raw files – clever girl. I took some photos of her and Jackie both on my digital and on my polaroid so she could keep some photos. Meet Esha-lee and her Jackie. The morning we were heading off, Steve and Rosie came by to visit. They had been riding in the golf course but saw me with the camera and came over to say hi. Steve owns Steve’s Taxis in Charters Towers and Rosie is the name of his lovely Clydesdale. You know, it’s one of the things both of us like about getting out and camping in this beautiful country of ours. We get to meet some very interesting people and occasionally I get to take some photographs of those people. In our next post, we are heading north towards the Lions Den Hotel but before we get there, we stay a night at Lake Tinaroo.